Talk business and the economy with one of Wall Street's best-known strategists, and Harvard alumni from Westchester and Fairfield Counties. 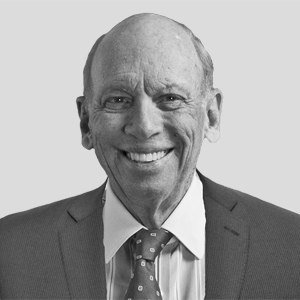 HCFC members are invited to join our friends at the Harvard-Radcliffe Club of Westchester County for a dinner discussion with lauded investment strategist Byron Wien on Wednesday, February 13 at 6:30 pm at Ammos Estiatario, 52 Vanderbilt Avenue, New York. Byron Wien has been named the “most widely read analyst on Wall Street (First Call, 1998); rated the No. 1 strategist (StartMoney.com, 2000); named to SmartMoney’s Power 30 list of most influential thinkers (2004); named one of the sixteen most influential people in Wall Street (New York Magazine, 2006); and received the lifetime achievement award from the New York Society of Security Analysts (2008), among many other accolades. His annual “Ten Surprises” list is considerd a must read in the investment community and beyond. To register, go to the Westchester County club's website, HERE. HCFC members can register for the member price of $75. All others are $85. Includes a three-course dinner with a seprate cash bar. Registration is limited to 24 , so purchase tickets early.